Fall is the most beautiful time of the year and we believe that when the leaves change its color, our hair should do the same. When the season change, our wardrobe, footwear, skincare, and makeup choices change completely. 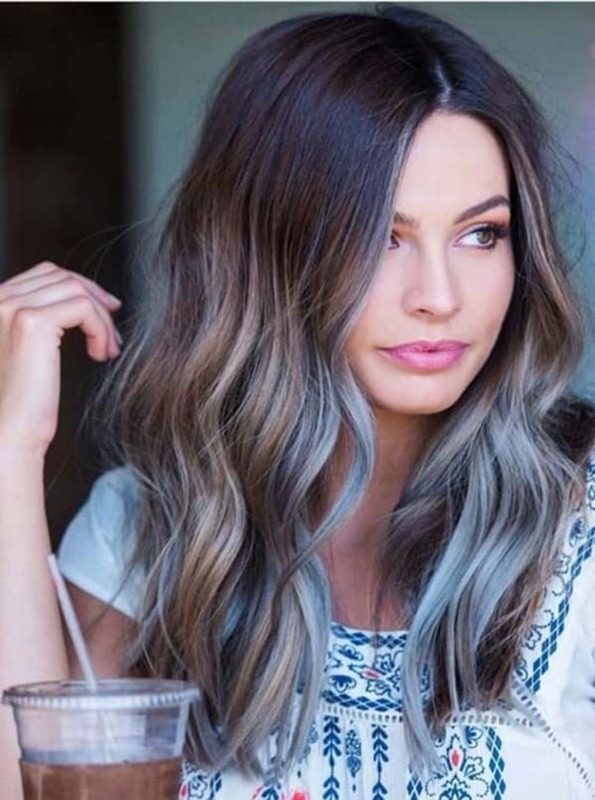 In that case, sticking to an old hair color trend would not do justice. Time to give a complete makeover to the blonde and introduce shades of fall. 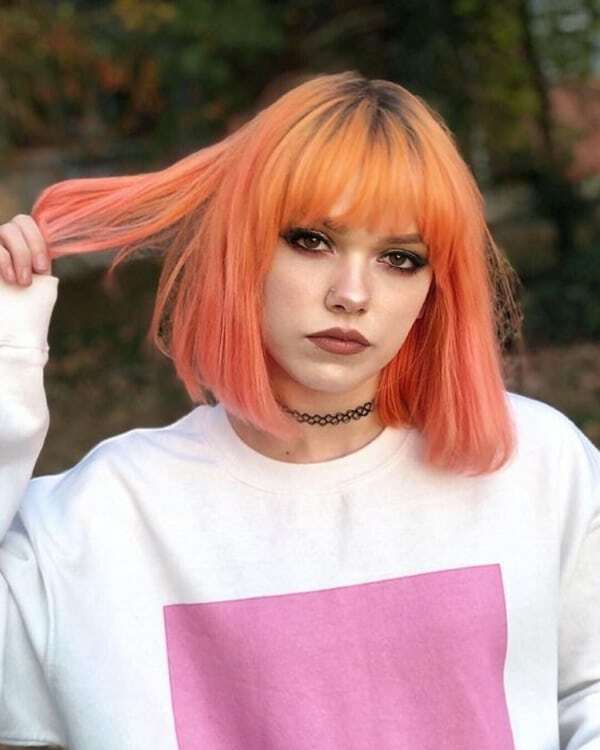 Seasonal hair color can be a little tricky, luckily for those who want to experiment more with the latest hair color trend, these are cute fall hair color ideas to copy. Also, check out the most noteworthy hairstyles that take only 5 minutes or less. 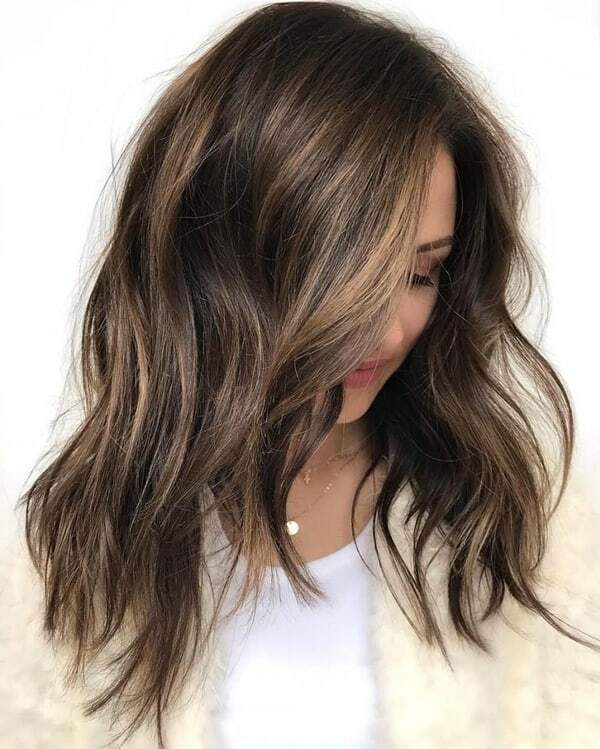 When you are just not ready to switch from blonde to brunette hair, you can always add a touch of fall in your hair color trend. 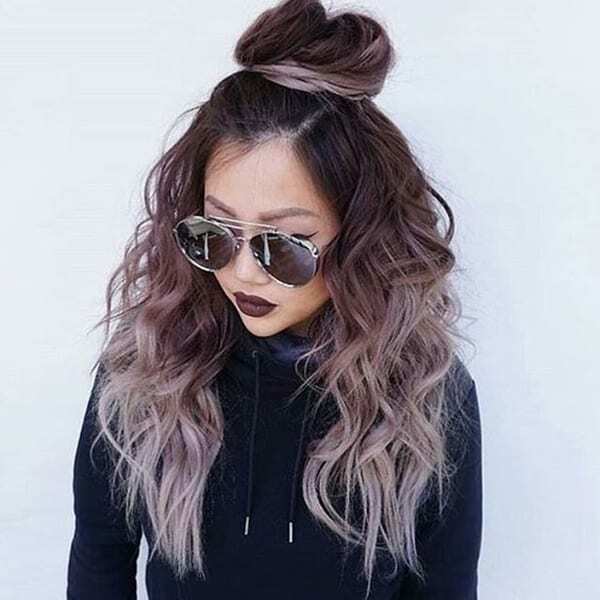 When the sun isn’t shining, these cute fall hair color ideas definitely can. 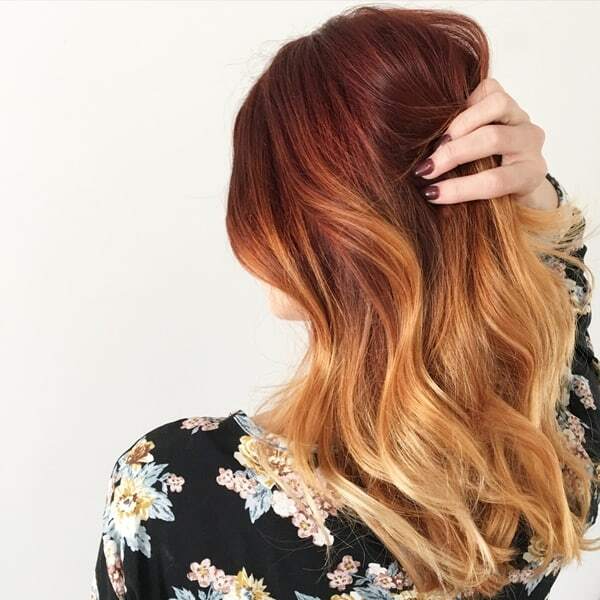 Introducing a soft red shade like deep red, crimson, cinnamon red undertone to your blonde hair can make it fall ready. 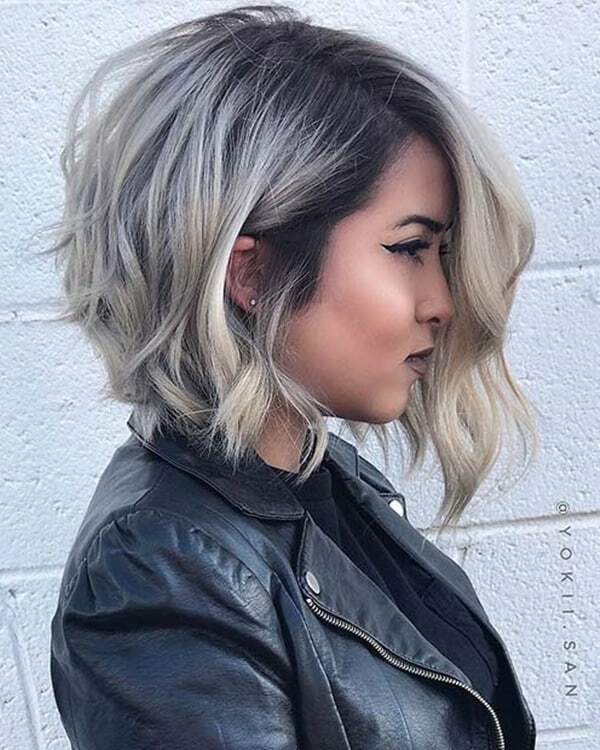 Coloring the hair is consequently a good idea if you have short and thin hair, which is why these probably these hairstyles for short and thin fine hair will suit you the most. Warm tone like red, orange, copper and brown, generally give a more natural and attractive look. 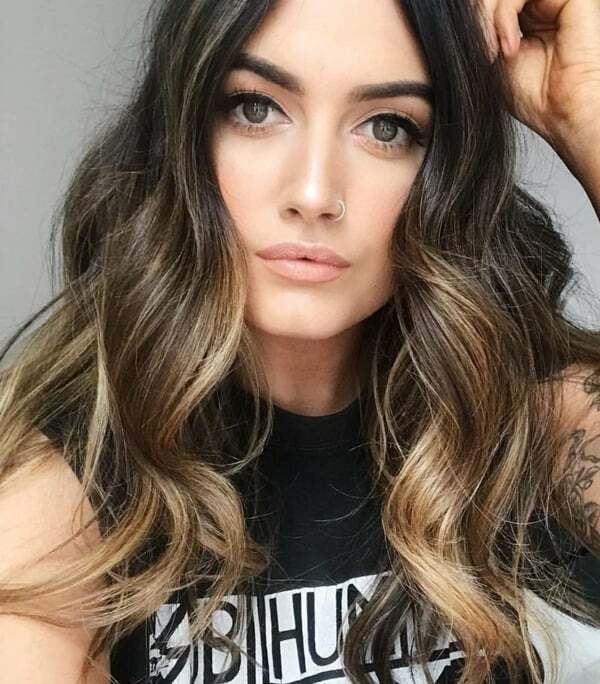 This fall add a variety of highlights from these warm touch to make you brunette hair less boring. 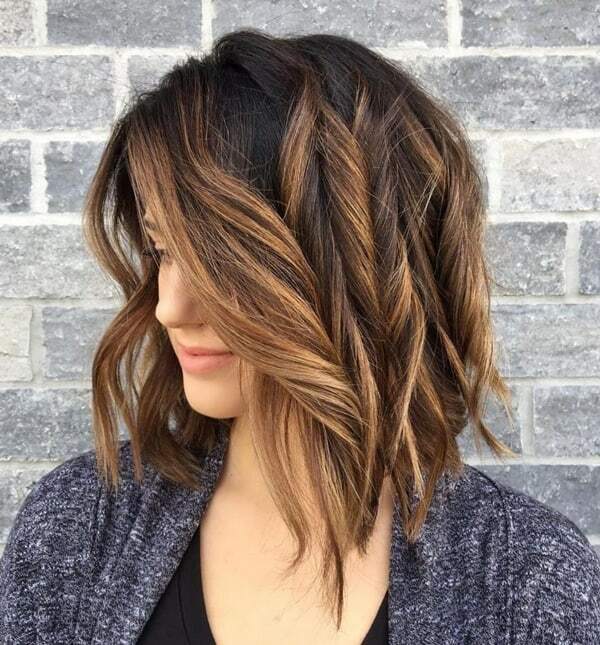 Highlights of warm colors give a more youthful and dimension to your hair locks. 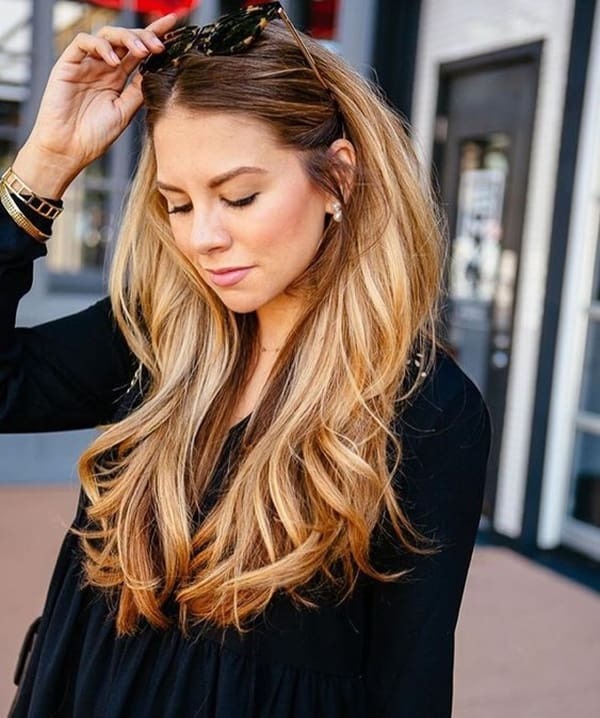 Slay the fall season with the best fall-inspired hairstyles, matching your likewise fall-inspired work outfit. 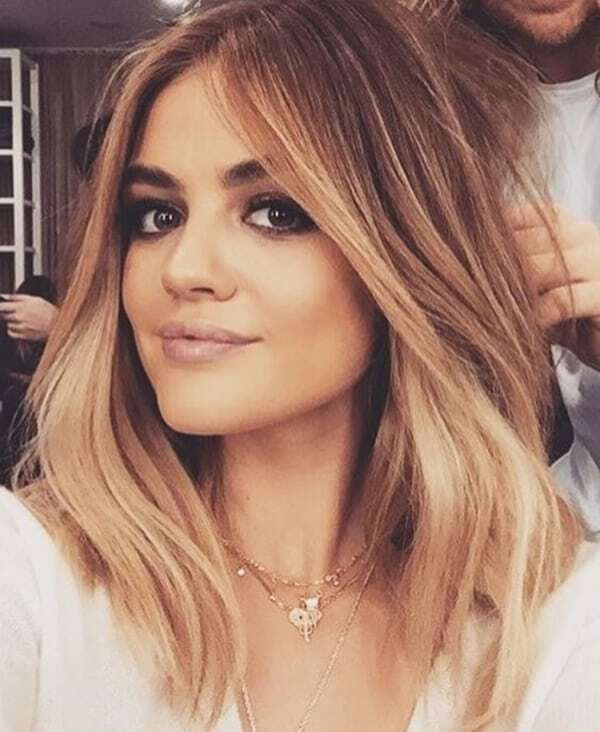 A smooth transition from red to blonde or copper to blonde are cute fall hair color ideas. 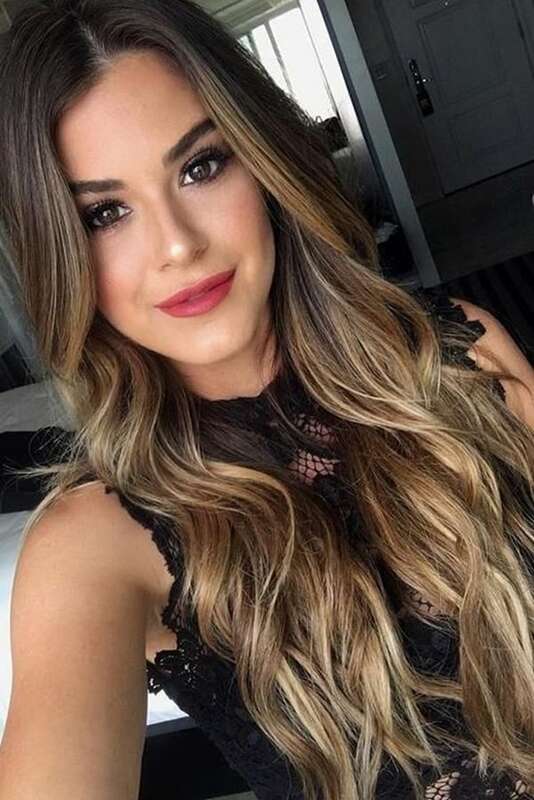 Ombre hair color trend keeps changing with a season and never disappoints us. 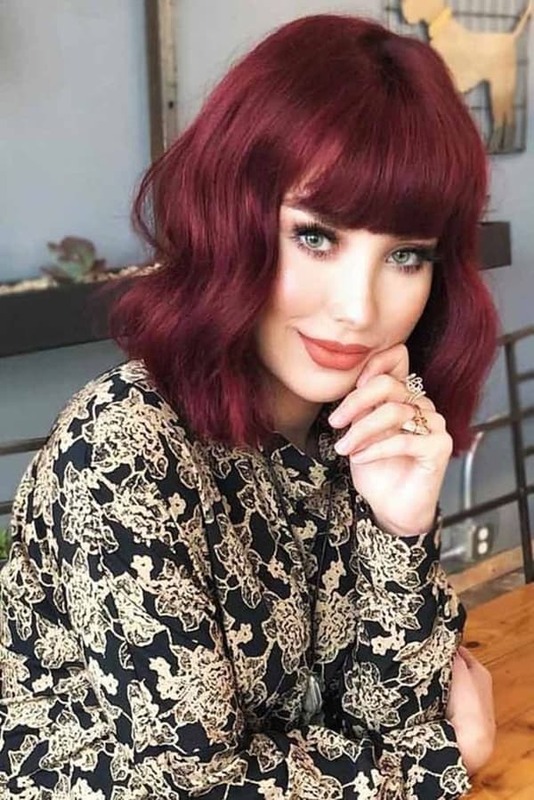 Give it a little pumpkin tinge to your hair by starting with a warm shade of red from your roots and blend the red tone with the blonde as you go down. Another way to change according to the season is the complete wardrobe change with these cute fall work outfits. 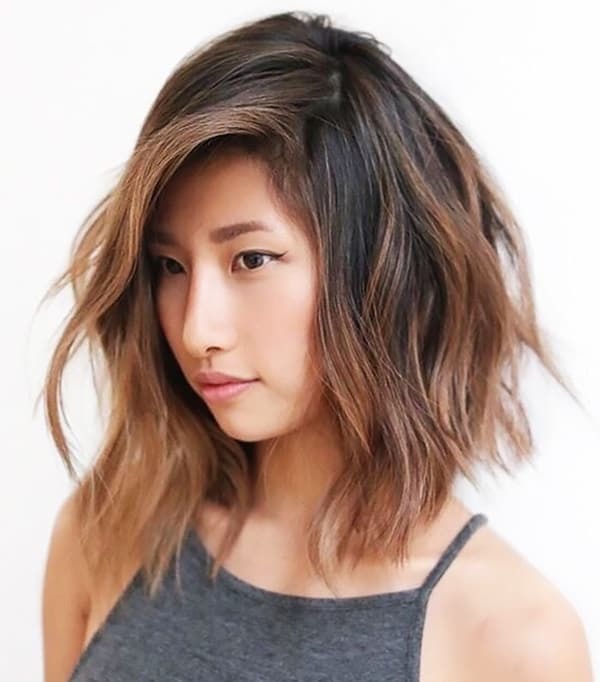 Balayage hair color trend is the cute fall hair color ideas. 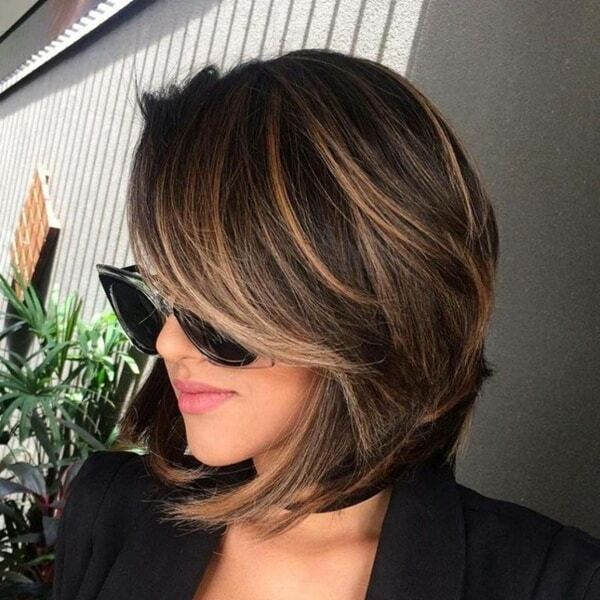 It starts with the perfect black from the roots with warm brown color highlights running through the hair. If you have layer haircut, start highlight from the tip below the cheekbones to have a more natural and appealing look. When the leaves start changing is the color, it’s the fall time. Are you as excited for Halloween as I am? Just like us, are you obsessed with the rose gold color? Rose color is like an obsession from the rose gold iPhone to the rose gold eye makeup. 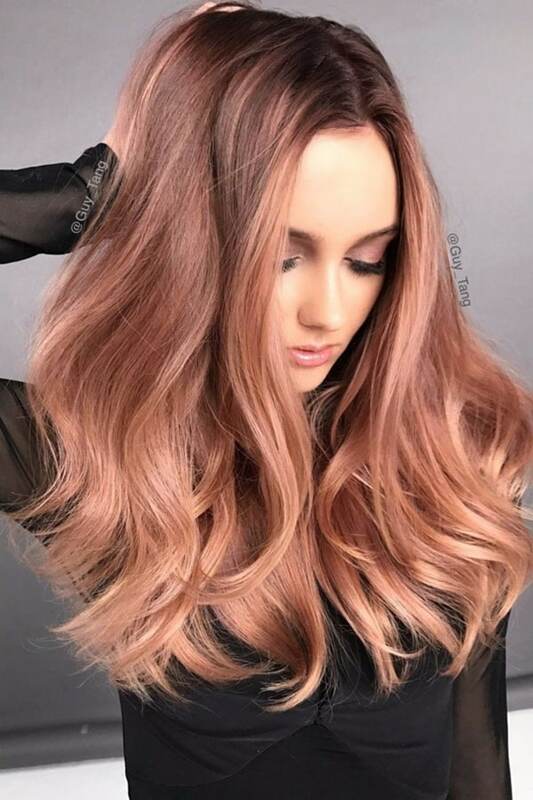 And fall is the perfect time to lock your hair blonde hair with a rose gold highlight. Rose color has subtle shades of white, silver and pink, which keeps on changing with every wash. 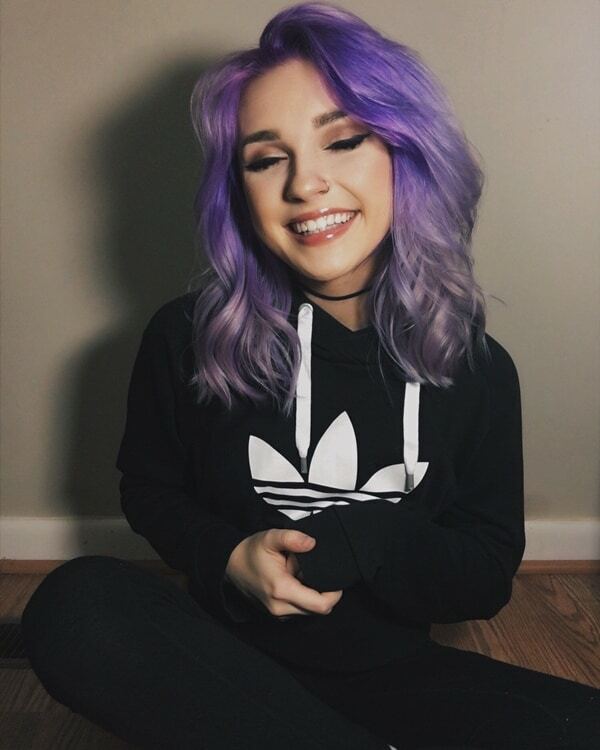 So, no chance of getting bored of your hair color. When your hairstyle game is on point, the fall outfit should be better even more. These beloved fall fashion outfits are worth trying. 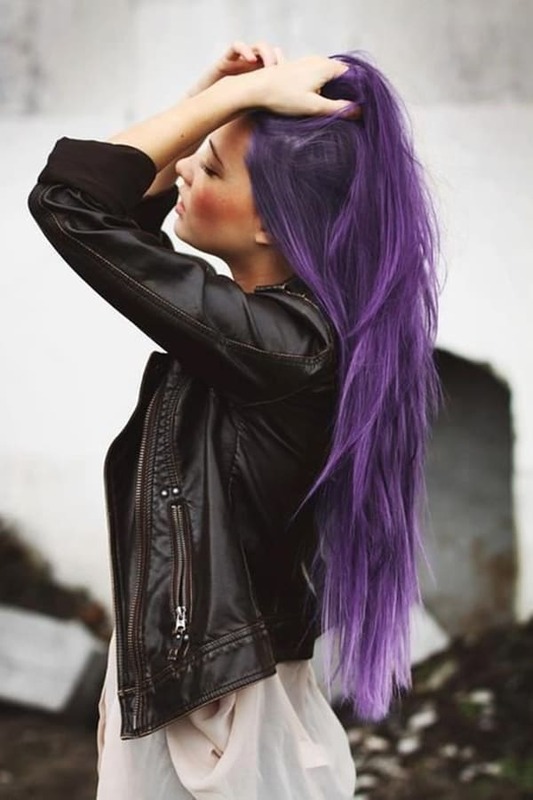 A delicate blend of purple and blue with your dark color hair is the perfect fall-inspired hair color. Give the blonde and brunette a break this fall to experiment something fun. 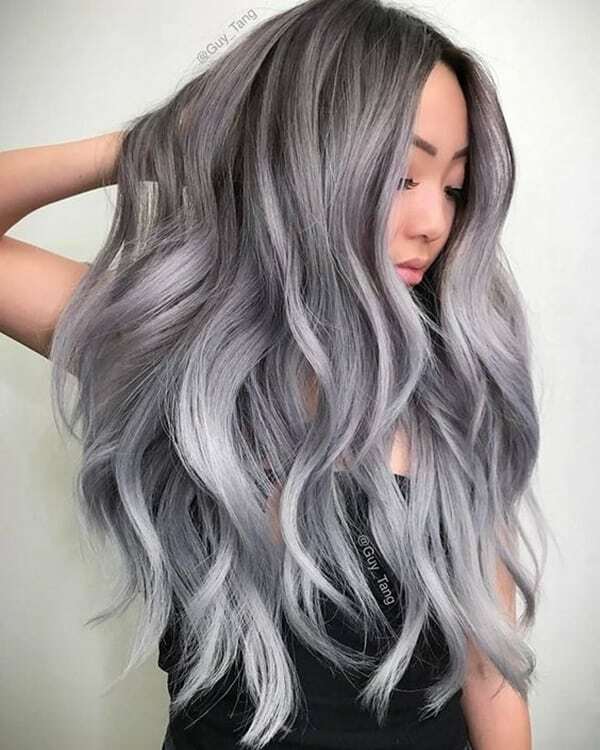 To make this hair color stay longer, remember, over-shampooing is your worst enemy. 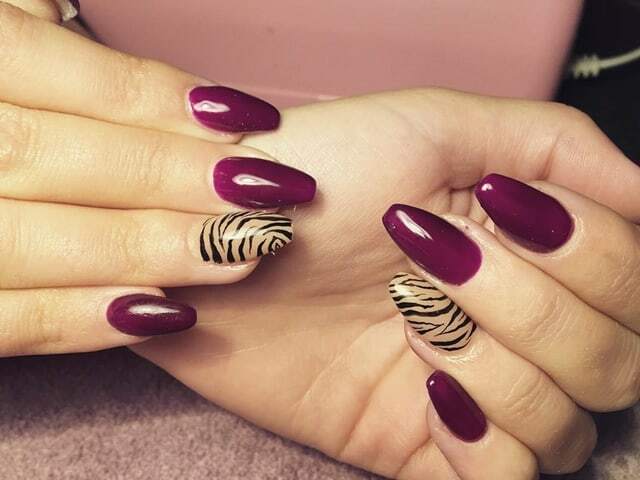 First of all, look at these pretty nail designs to copy this fall. Unicorns are real and so is your pastel pink mane. 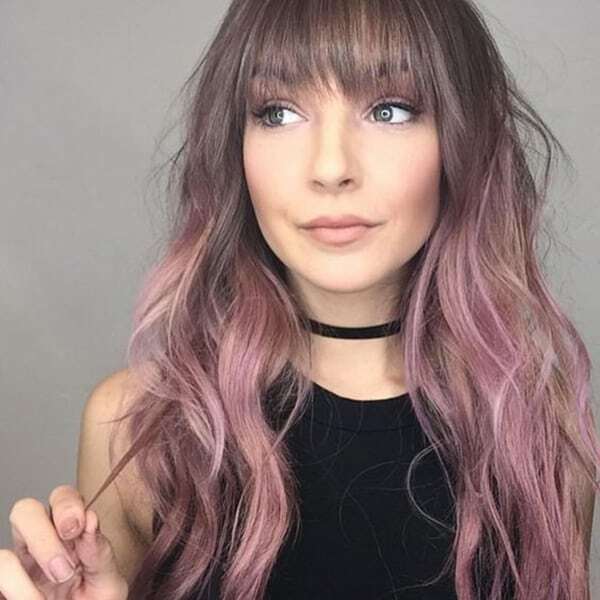 Dye your hair root with metallic pink pastel with shadow rooting technique. 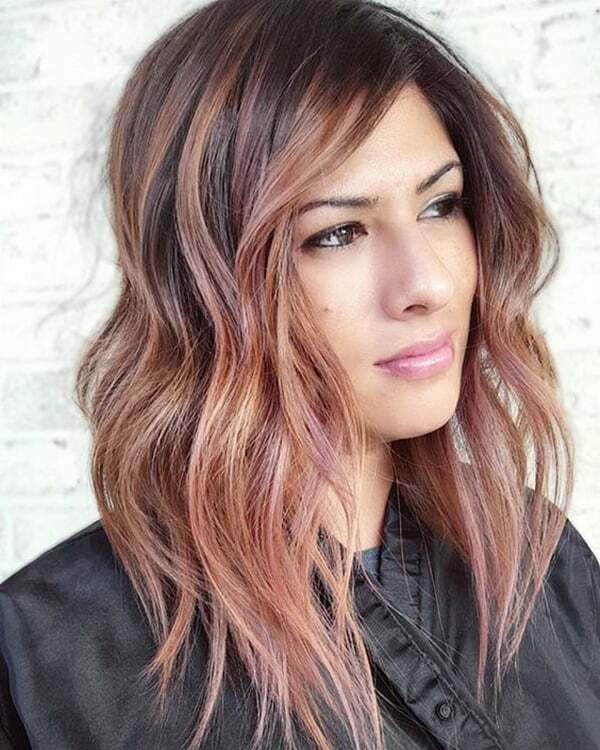 The shades of pink will highlight your locks. 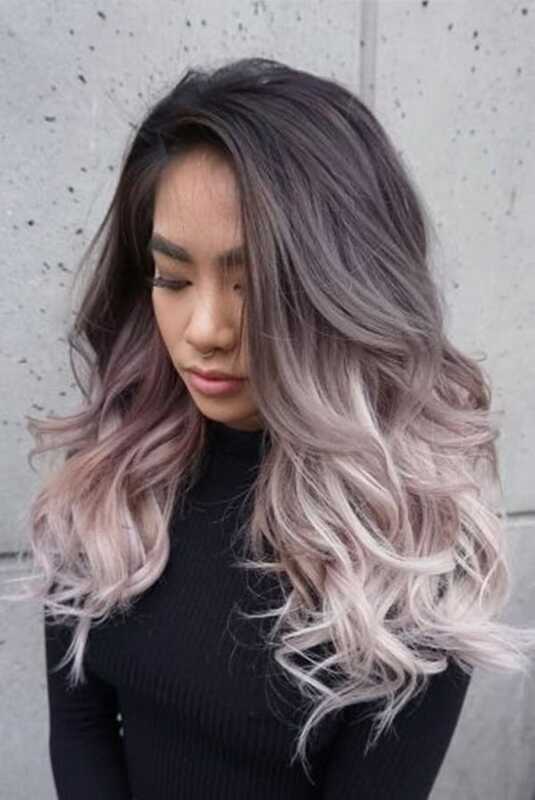 If you are not a fan of multiple color highlights, pastel pink will look absolutely gorgeous on you. Match your nail color with your metallic pink pastel hair. 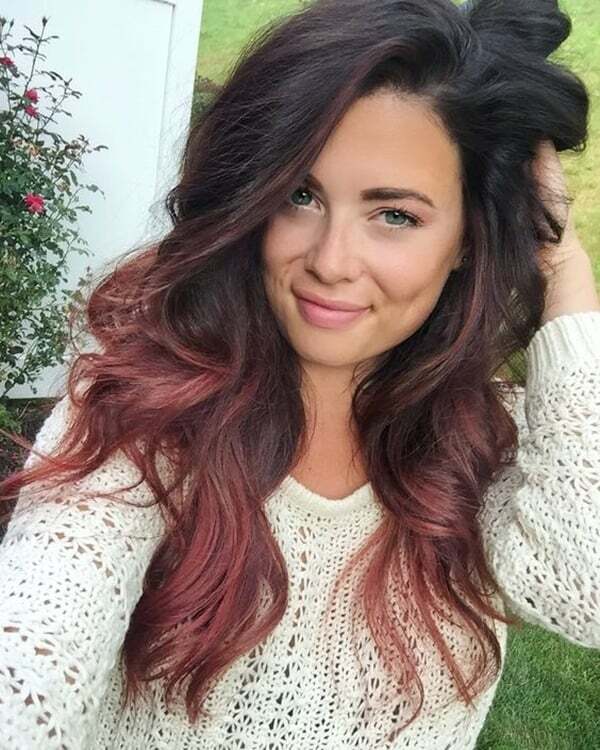 Seems like these chic pink and white are definitely going to compliment your hair color. Caramel highlights are perfect for those women to love transitioning their brunette hair color to blonde. 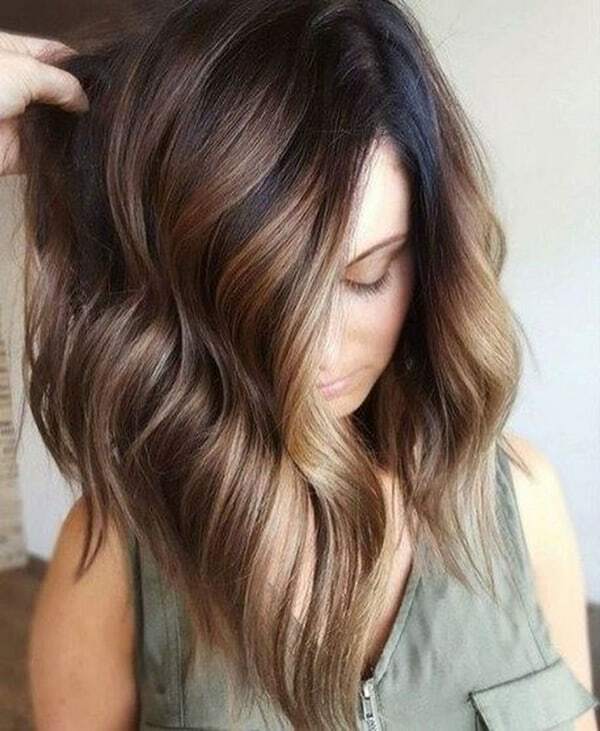 Caramel highlights are something in between brunette and blonde. It gives a shiny look to your beautiful long locks. Caramel locks almost go with every outfit, even more with the white jeans. 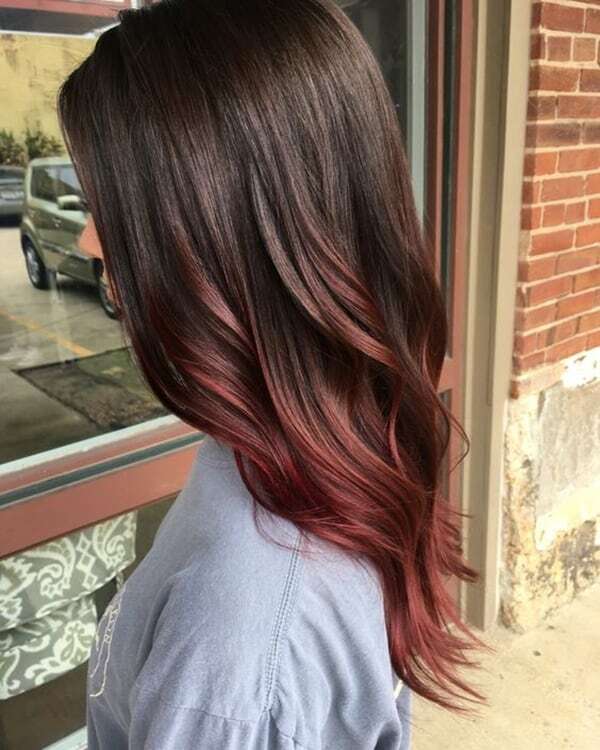 Fall is the perfect time to give your hair color a change and introduce shades of red, orange and crisp dark color. These are the celebrity-approved cute fall hair color ideas, making fall the perfect excuse to give your blonde a break.